Partial Solar eclipse took place during convenient for observation time for Southern African region, and provided some stunning views. 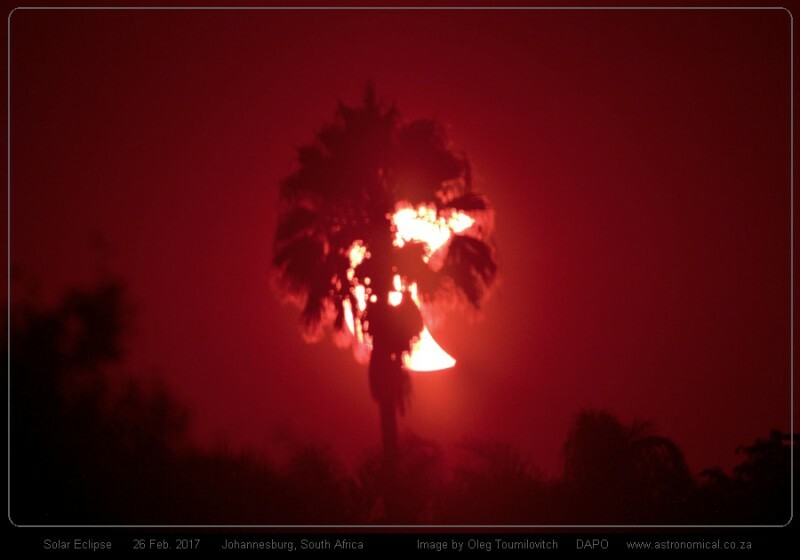 But most exiting area for observing this time included Chile, Argentina and Brazil, where millions of people witnessed rare Annual eclipse, also referred to as a “Ring of fire” eclipse. Visit SpaceWeather.com for an impressive collection of stunning images.